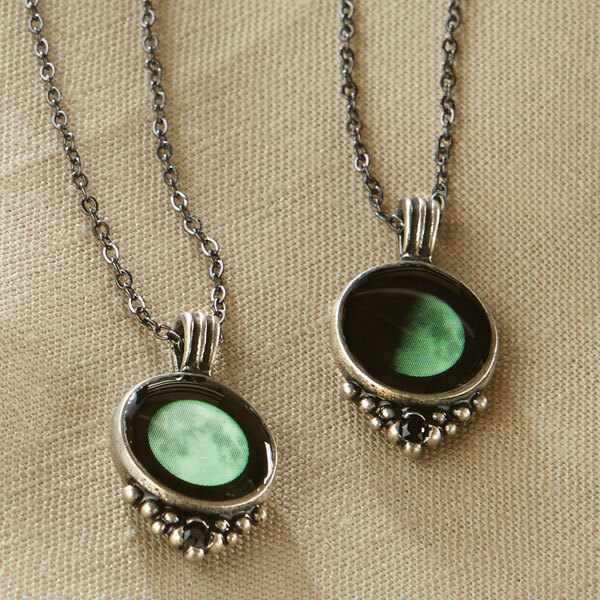 Handcrafted pewter pendant encases an image of the half moon that gathers light during the day; at night, it softly glows. A black Swarovski crystal glimmers at the base. Pendant is 1" high, 1/2" wide. 18-inch chain. Made in Canada.